Here we are about to celebrate our 10th year in business in a few weeks. I remember the excitement about leaving my full-time job to journey out into the world of starting a software agency. I still feel that level of excitement all these years later as we continue to find the right fit for our clients in today’s fast-moving product space. In a lot of ways, even 10 years later, I still consider Codelation a startup – and I love that I can say that. The common thought is that tech companies should have fancy offices in downtown locations. Close proximity to other tech companies, coffee shops, and some of the best food in town certainly has its benefits, but we always felt somewhat isolated from our local clients – most of whom are the startups more likely to operate out of their garages than to take on the added expense of a downtown location. Fortunately, Fargo has it’s own micro-technology hub far from the hustle-bustle of downtown that is filled with the kind of startups we love to help. 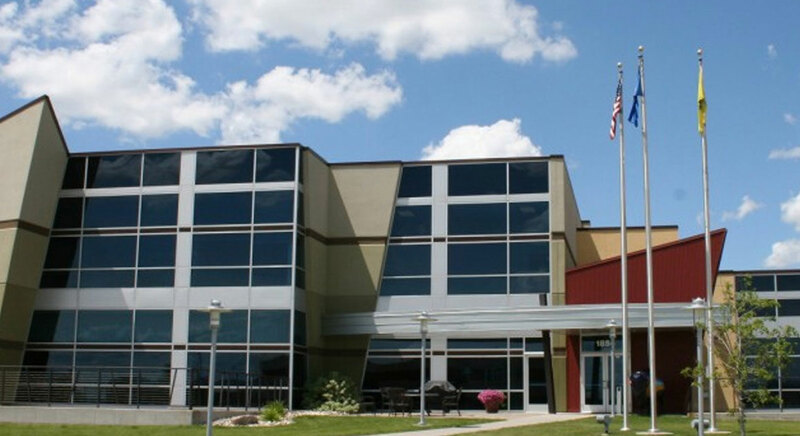 Over the last few years, we’ve watched the NDSU Research and Technology Park help countless emerging and growing businesses succeed – and when it was time for us to consider making a move, our whole team could think of no other place that we’d rather be. We are SO happy to announce that we’ve been headquartered at 1854 NDSU Research Circle now for the last three months, and I can tell you that it was a huge step forward for us. Here are 2 biggest reasons why. Now there are plenty of other great businesses here as well, but the reason for calling out the above is that they are our people. We are all on this crazy journey together. Being in the same environment and regular social collisions is an amazing asset to have as a growing business. It allows for really great ad-hoc meetings and unique opportunities. The tech park is also home to some great resource partners. Whether it be the InnovateND program, ND SBDC, The Bank of North Dakota, or any number of startup events or meetings happening at the center, again we have really great opportunities that happen just from being here in the building. We are extremely excited to be in this highly collaborative space and we are doubling down on telling our story and sharing our knowledge. We’ll soon be launching a new daily podcast called “From Idea to Done”. More details to come soon.